For longer, stronger, beautiful lashes, wash an old mascara or nail polish container & fill it with the following – 1/4 of the container with castor oil, 1/2 with Vitamin E oil, 1/4 with Aloe Vera Gel. 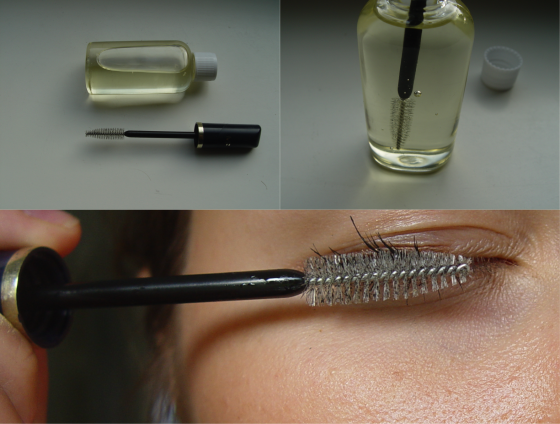 Mix the concoction together and apply a light layer to lashes or brows every night before bed. Castor oil thickens your lashes while aloe vera gel lenghtens. Vitamin E accelerates length too. Wait a month to notice changes! 10 Useful body care tips and tricks you probably didn’t know!